Do you ever feel like following decor trends is like a dog trying to catch it’s tail? Farmhouse has been huge the last few years and now there is a move toward boho and modern farmhouse. What happens when trends change? Lots of stuff goes by the way side…….TONS AND TONS of it. Thrift stores can hardly keep up, and some stuff just doesn’t even get resold…. sadly it gets trashed. One of the ways to add little bits of current trends is by upcycling. 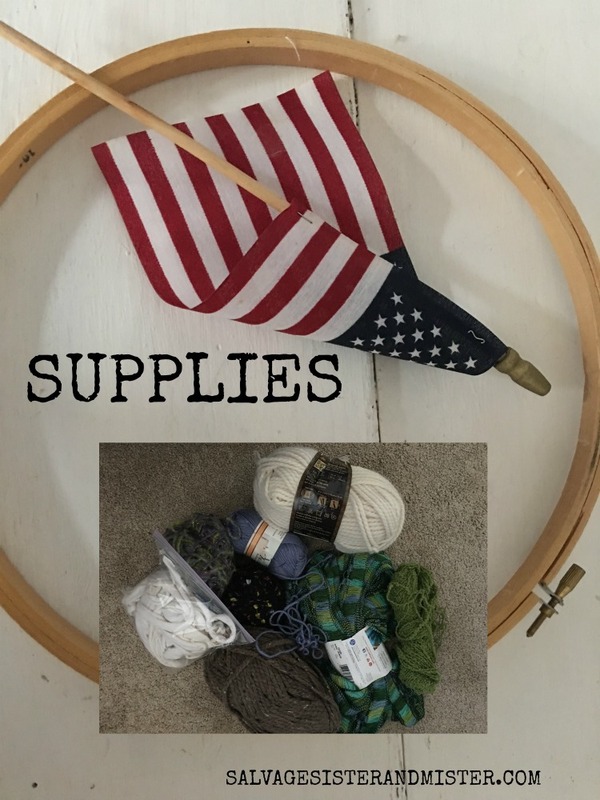 Not only does it save money, but it helps reduce waste by using what you already have or items from a thrift store like was done for today’s’ project….. 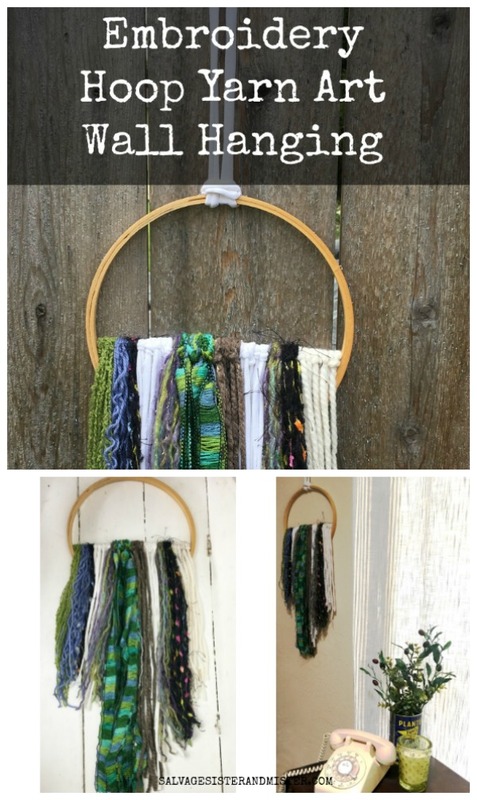 This Hoop Yarn Art is so easy to make, and when the trend is over everything can be used again in the next BIG THING! *Affiliate links used to show like or exact products used. You can read our full disclosure policy here. Dowel..the one used here is from a small flag from the thrift store. The point of the flag, and the flag itself, was removed (no flags were harmed in the making of this craft.) You can easily substitute a small dowel and cut it to fit inside the embroidery hoop. Yarn was selected with a color base of blue, green, and purple. 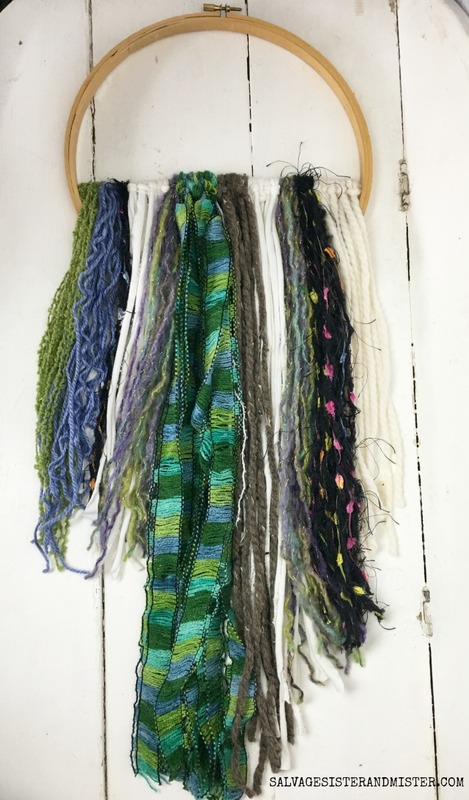 Decide on the design of your hoop yarn art. Cut the yarn, for your first color. You will need to cut the yarn double the length you want it. This design is using 10 strings for thin yarn and 5 strings for thick. Double the piece of yarn and place behind the dowel with the loop at top and the two ends at the bottom. Pull the ends through the loop around the dowel. Continue this process with all colors of yarn in desired lengths. 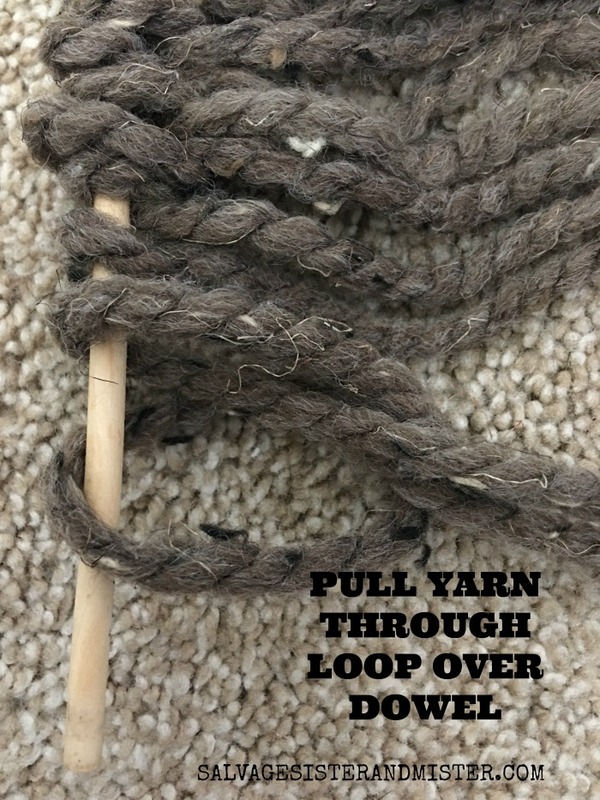 Note – Remember to loop all yarn the same way so the knot, loop around the dowel, is going the same way each time. After the dowel is completely full, packed, you can glue or set the dowel inside the embroidery hoop. If desired, take another piece of string/yarn, and loop around the top to hang on the wall. Boho style reminds me so much of my youth, ‘70s in California. 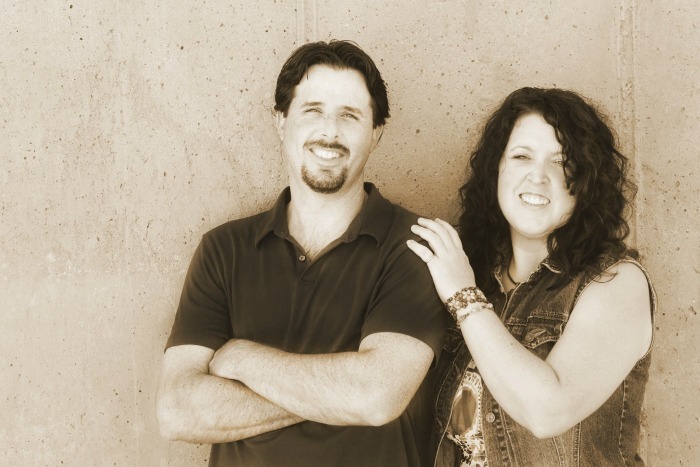 This is such a great project Deborah! 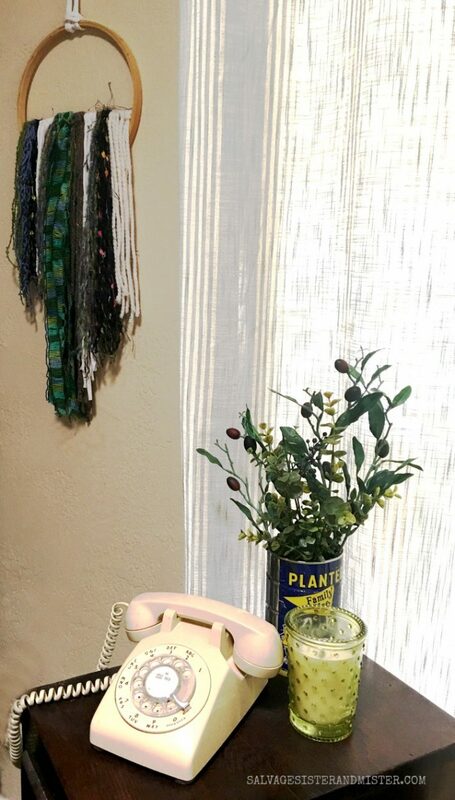 I love how you upcycled all those thrift store items into something trendy and fun! I will so miss being there 🙁 ENJOY!!! Lovin’ your boho style. So creative and a perfect way to reuse what you already have. So creative Deborah! 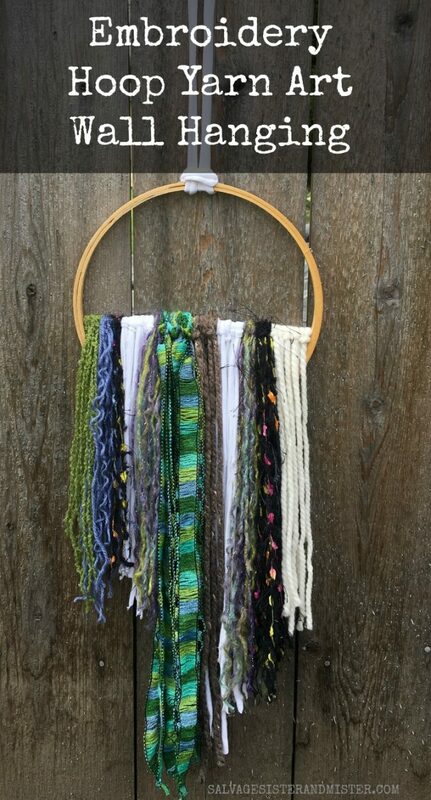 Love your upcycled wall hanging. So boho. Kristi, You are so very kind.